“Vibes don’t lie” is a popular belief spouted by the New Age youth. Though there might be some truth to the philosophy, it doesn’t excuse a 19-year-old man from Arnold, Missouri, who spiked his co-workers’ drinks with LSD. Reportedly, the young man was only trying to improve their harsh energy. 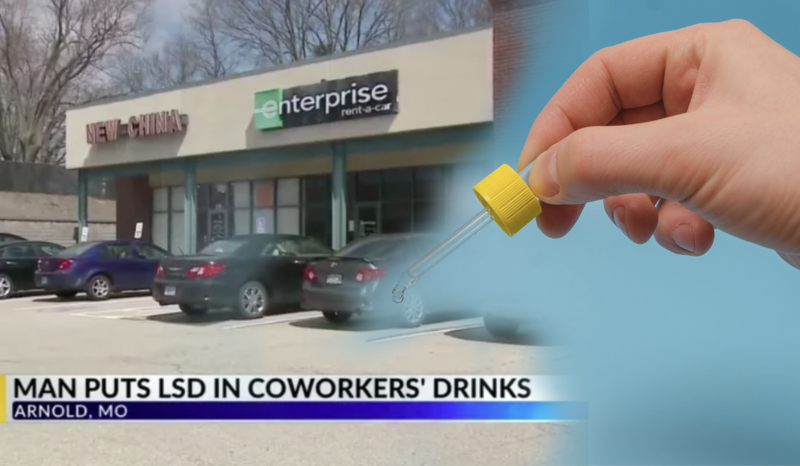 My Leader Paper reports that on March 18, the man from Arnold was arrested after he put LSD (a clear and odorless liquid) into two of his co-workers’ water bottles at Enterprise Rent-A-Car. 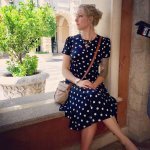 A manager called the local police around 4:45 p.m., claiming that two of the employees — a 24-year-old Imperial woman and a 23-year-old St. Louis man — needed to go to the hospital. The manager, a 27-year-old St. Louis woman, told authorities that the 19-year-old employee had been “acting weird” earlier that day. She claimed to have seen him holding a water dropper and “messing with” her water jug. But, she didn’t drink from the bottle. According to the police report, the manager also claims to have seen the suspect messing with the two employees’ water bottles. Not long after, the Imperial woman and the St. Louis man began to feel dizzy and weird. The drugged employees were transported to an Urgent Care Center before they were transported to Mercy Hospital South in south St. Louis County. There, they were treated and released. LSD, or lysergic acid diethylamide, is considered to be “one of the most powerful mood-changing chemicals.” Similar to psilocybin (or “magic mushrooms”), LSD has been the subject of widespread research as a potential treatment for depression and anxiety. If a large amount of the illegal substance is ingested, the hallucinogen can cause distorted sensory awareness, an elevated mood or euphoria associated with boosted serotonin levels, and even hallucinations. Task force commander Sgt. Tony Dennis of the Jefferson County Sheriff’s Department said the workers’ symptoms are consistent with reactions to LSD. “You’re going to have an increased heart rate, temperature, higher blood pressure. It’s been described as causing the shakes or tremors,” Dennis explained. After the incident, the Arnold man was questioned about his motives. The report states that he put LSD into the water bottles because his co-workers “were too uptight, and they needed to have better energy.” Arnold Police field tested the water at the business. So far, the results have been inconclusive, said Lt. Clinton Wooldridge. The 19-year-old employee was placed under arrest. Though he hasn’t yet been charged, he is facing possible charges of second-degree assault and possession of a controlled substance, reports KMOV.
? This Crazy Star Wars Fan Has Transformed An Observatory Into A Giant R2-D2 Fire Resistant Coconut Husks Can Replace Wood And Save Millions Of Trees ?